MTP Series equipped a high quality display: 17” SXGA, 1280*1024 resolution, 300-nits brightness (350 nits/500 nits by models). 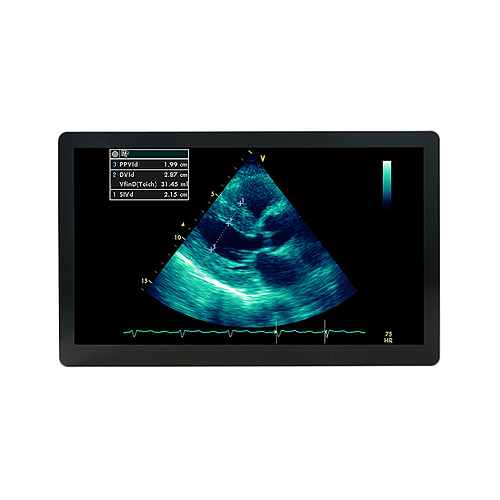 As a diagnosis assistant, MTP series is helpful when doctors explain the prescription and patients’ condition with showing clear pictures, X-ray film or pathologic photos, for instance, on the screen. MTP series equipped with gigabit Ethernet for high speed data transmission. 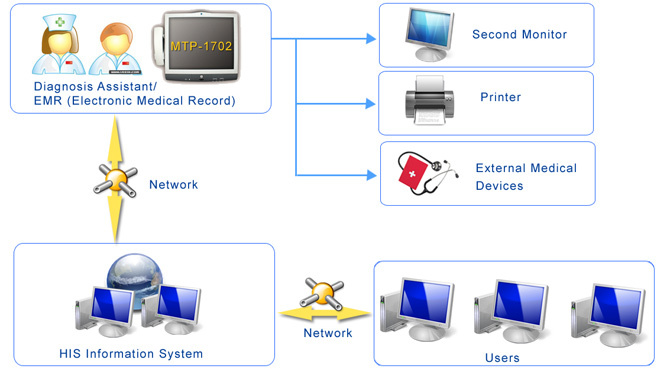 Doctors could immediately import patients’ records while diagnosing and research relevant information by accessing HIS (hospital information system). Wireless LAN (WiFi or Bluetooth) is also available if users want to get rid of the annoying LAN cable.